In Brampton, Cumbria. Built on a restored cast/oak chassis. Mains electric and daybed. Hand made dropleaf oak table. Hand forged curtain poles/hooks. More details at Preloved. 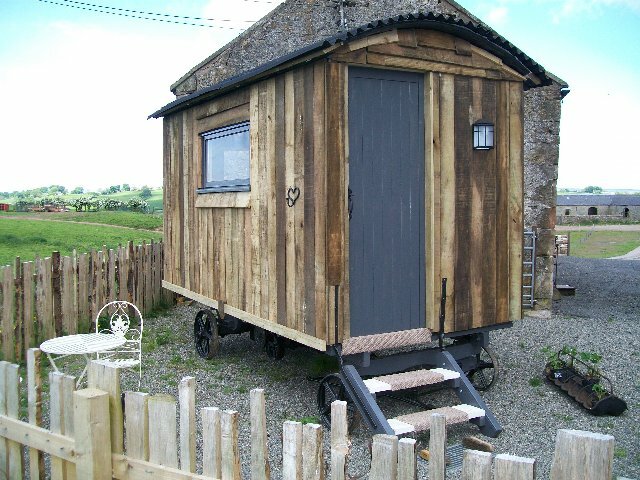 Shepherds' huts always seem to sell fast so get your skates on if you're interested.